Be one of the first to rent this BRAND NEW HOME with a private pool. 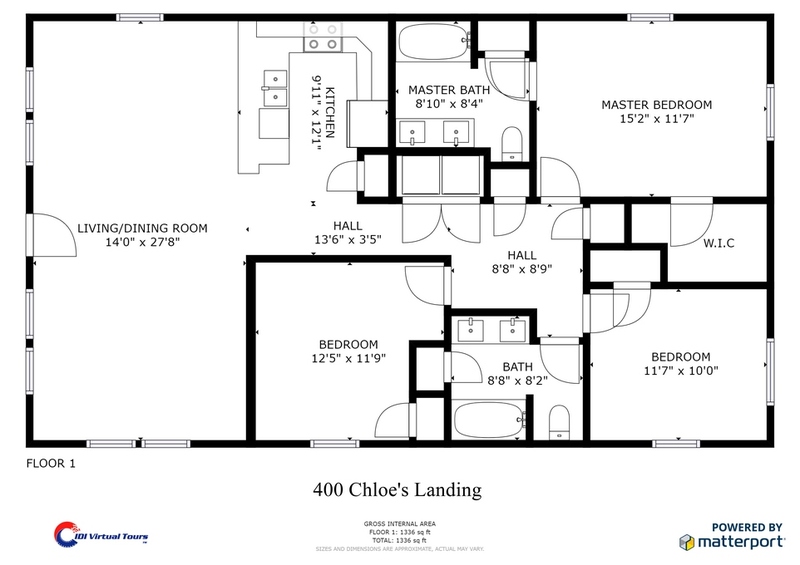 THE COAST IS CLEAR is a beautiful home nestled in the charming neighborhood, Chloe's Landing. This luxury home offers all the amenities needed for a fantastic beach getaway including a PRIVATE POOL with Waterfall Feature and Water volleyball. Indoor activities include SHUFFLE BOARD, AIR HOCKEY AND CHESS/CHECKER BOARD TABLE. Don’t forget your marshmallows for roasting over your poolside wood burning FIRE PIT. Spacious open floor plan makes entertaining easy. Whip up your favorite frozen beverage and sit on the porch and listen to the waves. This is a pet friendly property so bring your dog along and enjoy your vacation together. The Coast is Clear offers 3 bedrooms and 2 baths with spacious accommodations for 14. Enjoy watching your favorite show on the 60" HD Smart TV with FREE NETFLIX after a long day at the beach. Prepare your favorite meal in the fully stocked kitchen or venture out to any of the delectable dining venues scattered throughout Port Aransas. The fully stocked kitchen offers everything you need to cook up a fantastic dinner. Included is a Margaritaville frozen drink maker and Keurig coffee maker. The master bedroom offers a plush king size bed, flat screen TV and en-euite bath. The guest bedroom offers a plush king size bed with flat screen TV. The second bathroom is shared with the bunk room. The bunk room offers two full over full bunk beds with a flat screen TV. Whether you want to sit still or never stop moving, The Coast is Clear is the perfectly located home to spend your vacation! PLENTY OF BOAT PARKING! We took advantage of the mid week special and we are so glad we did. the beach wasnt as crowded or the restaurants either. We really had a hard time going home. Great place to stay! We will definitely stay here again in the future! We loved the house, pool and BBQ pit. We were so sad to leave. We'll be back...happy renters. The house we rented was in great shape and the pool and golf cart made a trip, where the weather just wouldn’t cooperate, a fun one for the entire family. The house was a perfect distance between the beech and town. The pool was not set up had to clean the seats myself no umbrella like it shows or fountain worked at all . Was pretty dirty in pool area. But we made the best of it volley ball net kept falling off fell on my Husbands head . Loved the house thou . Not sure if there was a promo code to go back soon ! To rent another place hope it’s clean this time around. Thanks! Really enjoyed our stay, property was in a great location, easy access to town and beach. It was clean, well equipped with everything you could need and pool was great. Our stay in The Coast is Clear was phenomenal! The home was beautifully furnished with coastal decor. The kitchen was fully equipped and make cooking the Easter Lunch as comfortable as cooking in your own home. My children thoroughly enjoyed the Swimming Pool that had water spouts and cool color changing lights!! We have stayed at many different places in Port A and this place is by far the BEST! Property is clean and brand new. The owners did a fantastic job on the decorating. The Location is perfect for the beach and shopping and dinning! The owners provide a golf cart, which we took to the beach and into town. We will definitely be staying here again!!!! We recently rented The Coast is Clear for our stay and we're completely happy! It was so nice to stay in a clean house with comfy beds and lots of space. When we needed a break from the beach there was plenty to do at the house...private pool with volleyball net, fire pit for making s'mores, grill, basketball goal in driveway, air hockey in house, wifi and direct tv.,,the kids were completely entertained. And the golf cart is a must for us especially for going to the beach and hitting town so it's nice that it's included in the rental. Very easy to book and very easy to get ahold of someone in the office if you have a question. The Coast is Clear had everything we needed! We will be back!! We stayed a week and Wish we were still there! !